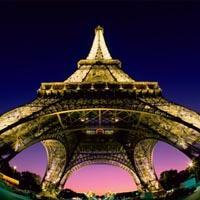 There are many man-made architectural works that have amazed the world. From the Egyptians to the Mayans, from the Greeks to the Chinese... in all civilizations and periods of time you can find commendable constructions worth mentioning. The UNESCO selects sites and constructions of outstanding cultural or natural importance to the common heritage of humanity and declares them as World Heritage Sites in order to catalog them, preserve them, and make them known. This ranking tries to decide which of these wonders that are still standing are the world's most spectacular man-made wonders.